Newest Joyetech mod box vape kit evic primo SE, five fashionable colors available,the new vape kit includes evic primo se mod and procore SE tank, the new joyetech box mod with compact and ergonomic design, powered by 1pc 18650 battery and max output 80watts, features bottom battery lid which is flexible to change the battery. support resistance as low as 0.05ohm under temp or TCR working modes, vapers can switch the working modes from TC, TCR, power, start, and bypass. supports NI, TI, SS316L vape wires under temp control mode. 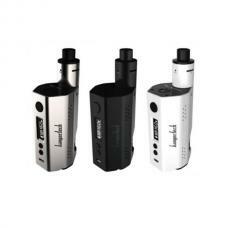 the evic primo SE mod features one 0.96inch OLED screen and easy to go interface, shows vaping data to vapers clearly. spring loaded 510 connector which has a wide coverage for tanks with various pins range from 4.o to 5.5mm, compatible with more subohm tanks. evic primo se has 2A max charging current with which it can get fully charge more quickly than normal avatar quick charger. 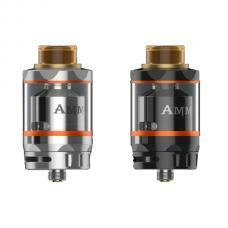 onboard reverse polarity protection and other protection functions ensure the vape reliable and safe. the procore SE sub ohm tank can hold 2ml e juice, all parts detachable, diameter 25mm, uses full glass tube, integrating the mouthpiece and venting system into one. bottom large airflow control slots provide balanced flavor and clouds, the new joyetech tank with easy refill design, put the glass tube upside down and inject the e juice into the slot directly, no leaking worry. the procore se tank compatible with proc series coil heads, no matter MTL or DL vape, you always can get the right coil heads.